In case of inclement weather Sea Tea Improv will remain open, with classes running, so long as there is not a parking ban in Hartford. If the City of Hartford issues a parking ban, Sea Tea Improv Studios will be closed. 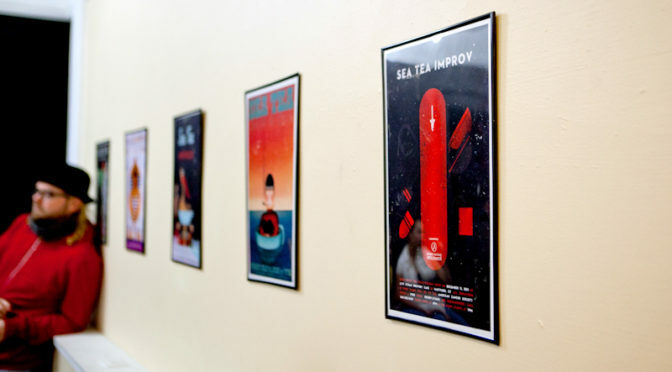 In the event of a class cancellation the instructor will email the class at least 5 hours in advance or as soon as possible and post it on Sea Tea Improv’s Facebook page. Once a student has been emailed by our instructor we will consider a student notified. Please be sure to confirm with your instructor that we have your current email — you will be emailed at the address used to register for the class unless you specify another address. If possible, cancelled classes will be rescheduled for a time that works for the majority of the students. Students are allowed two (2) absences during the run of an 8-week course or one (1) absence during the run of a 4-week or 6-week course. If a student has more absences than are allowed for the course, the student will not be considered to have completed the course. Completing certain courses is a requirement for some of our higher-level courses. Students will not be credited or reimbursed for absences. If you are planning on missing more than the allowed classes, we suggest you register for a different course that better suits your schedule. We do not offer makeup classes for any days missed. Speak to your instructor in advance of an absence and they will give you a brief summary of what you are missing. Sea Tea Improv does not prorate courses or give partial refunds. If you signed up for full course and wish to cancel you must email comedy@seateaimprov.com at least 48 hours in advance to receive a full refund. Notification less than 48 hours in advance may result in no refund. If you signed up for a 1-day workshop and wish to cancel please email comedy@seateaimprov.com at least 24 hours in advance to be fully refunded. Notification less than 24 hours in advance may result in no refund.